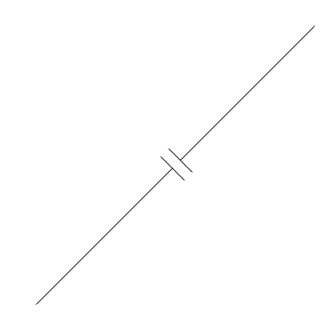 TikZ - How to draw an interrupted line? 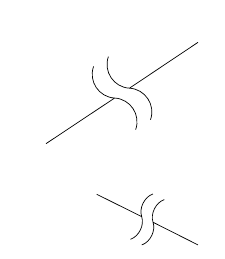 Please tell me of an (as simple as possible) solution to draw an interrupted line. I don't know how this is technically called; interrupted line, interleaved line, broken line, discontinuous line? Here is an image of what I want. It doesn't have to be wavy (but it would be nice). Here is a way to include an interruption. I used straight lines, but now that you see how it is done, you could arrange it to your liking. How to draw a separator between the columns of a matrix. how to draw plots without data in tikz? How to draw an inductive coupling with circuitikz and TikZ? how to draw a line between a node and a line in TikZ?